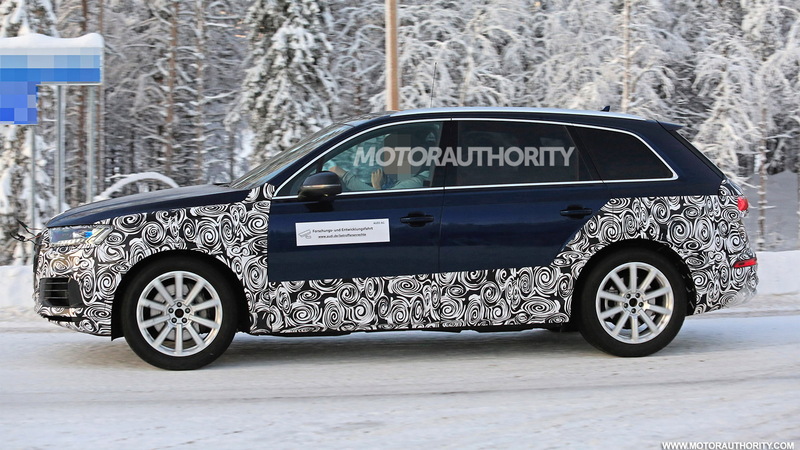 Audi's Q7 is approaching the midway point in its life cycle and prototypes for an updated version are out and about. 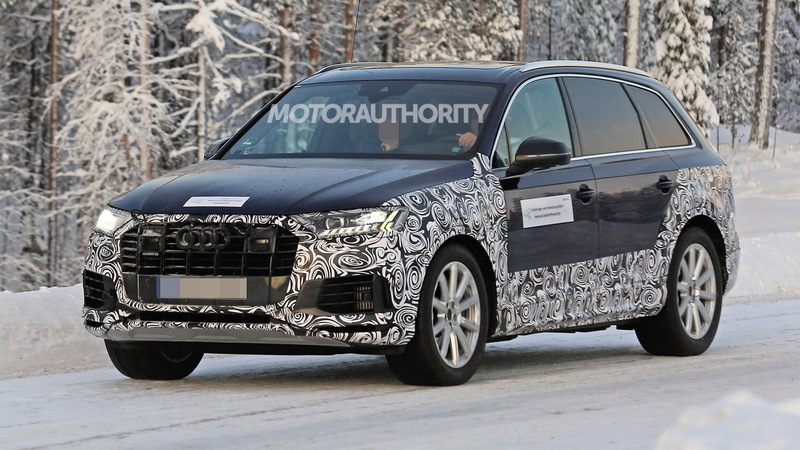 The prototypes reveal that Audi's updated Q7 will receive only minor changes on the outside, but that things are in for a major revamp on the inside. On the outside, you can expect the usual tweaks to the internals of the lights along with redesigned front and rear fascias. The changes to the lights are already clearly visible on the prototypes. 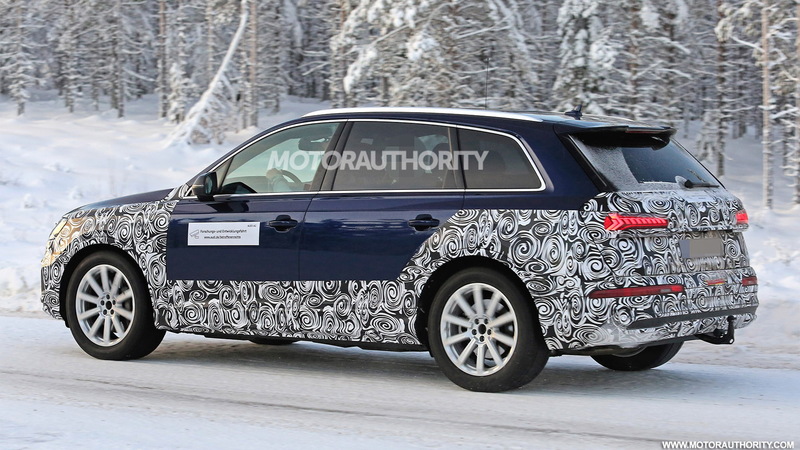 Inside, the dash of the current Q7 will be replaced by the more advanced design found in the related Q8. While the digital instrument cluster is still present in the shot below, the old center stack has been replaced by two screens. These screens control almost every vehicle function, with a tactile and acoustic click confirming when a finger activates a function. Voice activation with natural speech is also included in Audi's latest operating system. 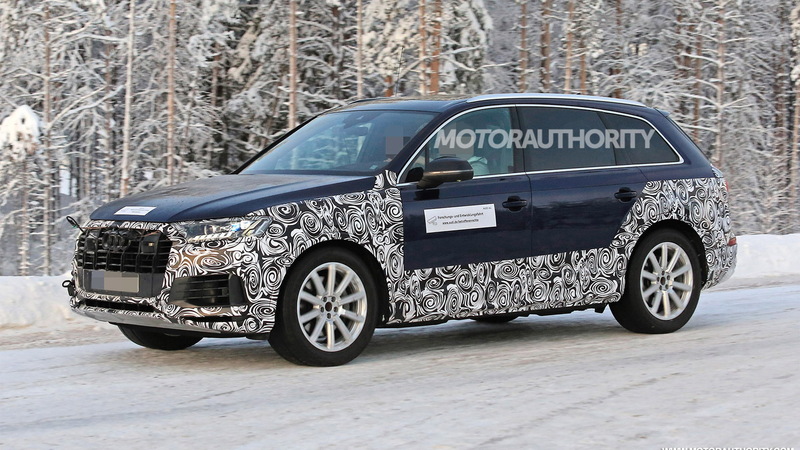 It isn't clear what powertrain tweaks will be made but a plug-in hybrid Q7 e-tron and sporty SQ7 could finally be offered in the United States. A potential powertrain option for the SQ7 is the 2.9-liter twin-turbocharged V-6 fitted to the RS 5, where it delivers 450 horsepower. The Q7 is currently offered in the U.S. with a 252-hp 2.0-liter turbocharged inline-4 and a 333-hp 3.0-liter supercharged V-6. 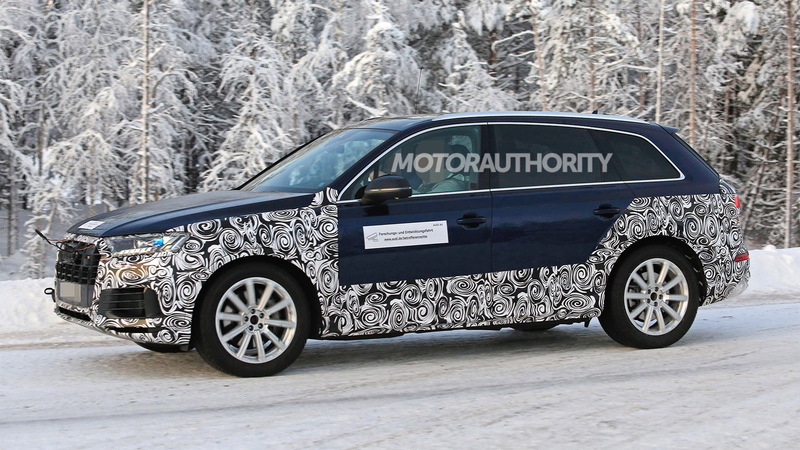 Look for the updated Q7 to debut in late 2019 or early the following year as a 2021 model.